Chanel makes me very happy, especially when it's as pretty as this and comes in a little velvet pouch. 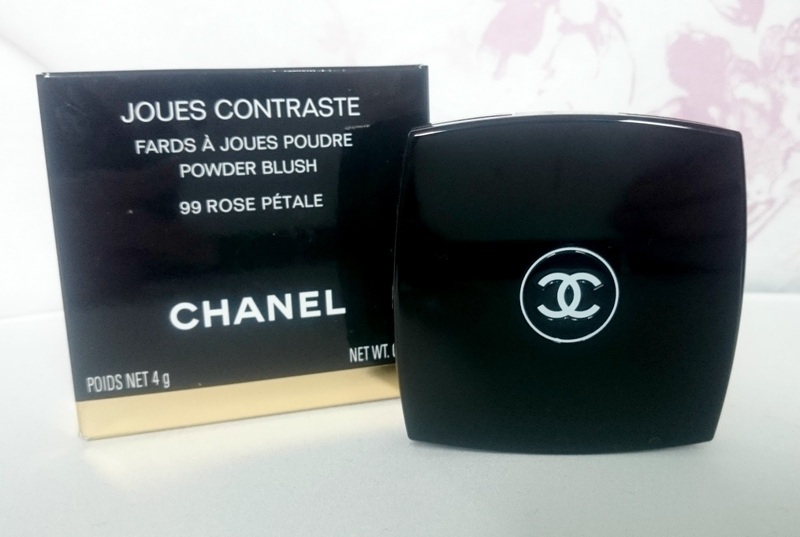 I recently added Chanel Joues Contraste in Rose Petale to my ever growing blush collection. Rose Petale is a beautiful, pearlescent pink. When I first opened the compact I just looked in awe at it for a little while, I can't quite express just how stunning this is. 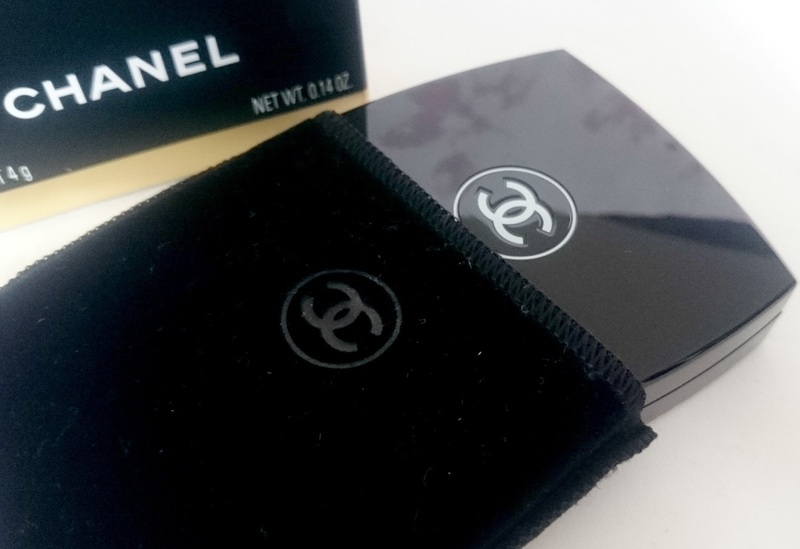 Chanel's iconic packaging is sleek and a big show stopper. Who doesn't love whipping out some Chanel to reapply? The texture of the blush is soft which makes it really easy to work with, blending is effortless. A couple of swirls with a brush gives a perfect English Rose complexion that looks really natural. 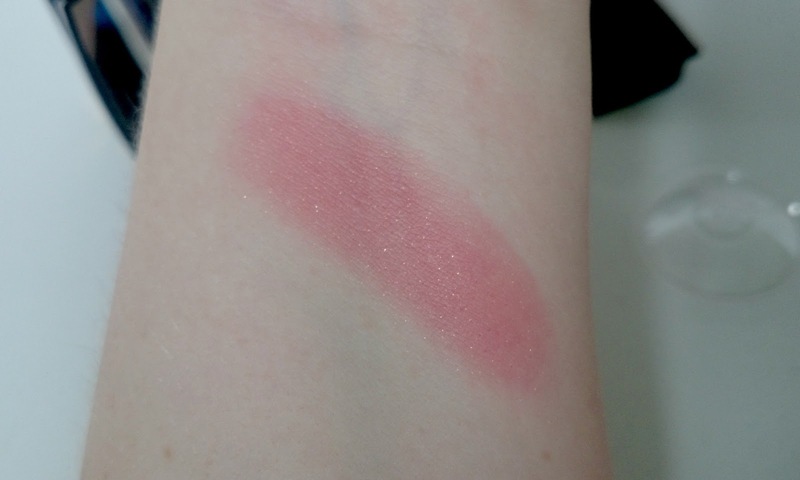 There is a shimmer to it which you can see in the swatch above but it looks much more toned down when applied to the apples of your cheeks. The compact comes with a mini blush brush; Although it's soft, it doesn't pick up enough product for an even coverage. Rose Petale also smells amazing, freshly cut rose isn't usually a smell I like but it works. It's subtle and not too overpowering. Chanel Rose Petale is on the pricey side at £31 but it is worth every penny. You should treat yourself and what better way to do that than with Chanel. I don't own any Chanel blushes but this is pretty! 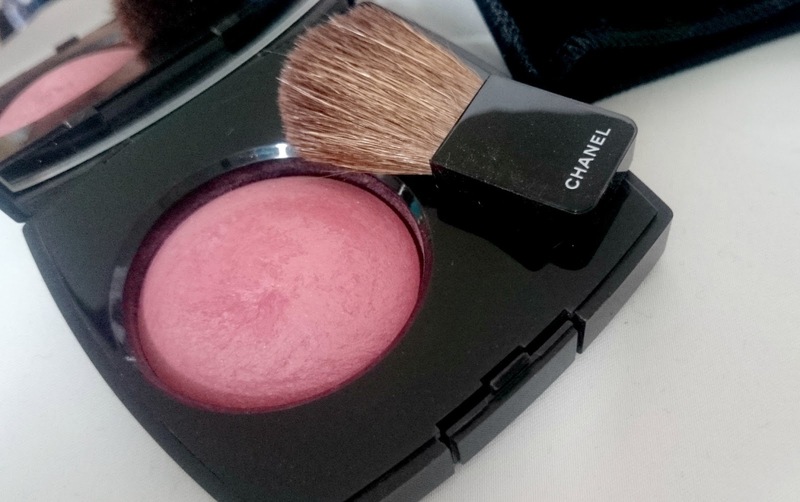 Ahh I'm dying to get my hands on a Chanel blush, this makes me want one anymore! Totally agree with your comment about it being pricey, SO worth it! Oh wow, this blush looks amazing. I've never tried a Chanel blush before but this shade is just beautiful!